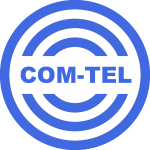 COM-TEL Telecom Ltd are committed to providing its clients with the highest level of service possible and we hope you never have cause to complain about us or our services. However, we do recognise that sometimes things do go wrong and it may be necessary for you to contact us about a problem. We take complaints about our services extremely seriously and will address any issues as fairly and as quickly as possible. In the first instance please email us at support@com-tel.net, call us on 03302201234 (9am to 5pm, Monday to Friday) or raise a support ticket via your customer control panel and we will try to resolve your issue straight away. If we can’t sort things out immediately, we’ll let you know and agree a plan of action with you. In the unlikely event that you that your complaint has not been resolved to your satisfaction and you are still unhappy with the outcome after a period of 8 weeks, or if we’ve investigated the problem fully but reached a deadlock, you have the option of referring your complaint to CISAS for independent consideration. CISAS is a free and independent Alternative Dispute Resolution (ADR) service approved by the UK communications regulator, Ofcom. The purpose of CISAS is to resolve disputes between consumers and communications providers. CISAS will make an independent decision based on the merits of your complaint.